Between the £319 iPad and the £380 Surface Go, it seems like the budget end of the computer spectrum is finally getting some attention. And it’s about damn time. As portable computers like laptops, and some tablets, have become the primary device people turn to to get work done, the price of top machines has stayed fairly high compared to desktop computers. And the devices available for less ask some very serious compromises of their users. But while the landscape of sub-£500 laptops is bleak—with a whole bevy of devices that aren’t worth the money, there are still some good deals out there! But just to be clear...I’m using the word “laptop” here loosely. Tablets have started to become much more work focused than they have in previous years, and companies as big as Apple and Microsoft are insisting that a tablet can be every bit as good as a laptop with a similar price tag. When you factor those “work tablets” in three separate categories take form in the sub-£500 range: Chromebooks, cheap Windows machines, and the iPad. While we haven’t had the chance to test each and every one of these devices we can give you a better idea of just what’s out there in the sub-£500 realm of laptops (and tablets intended to be used as laptops). As you’ll notice below, you can expect to spend £400 to £500 on a computing machine that you’ll be happy with. Cheaper devices exist, but the difference between quality, power, and finish once you go below £400 is extreme. I’ve pointed out a few machines below that will fit a sub-£400 budget, but the general rule of thumb is to go to the used market if your budget is that low, or find a way to save up and go with a slightly pricier product. You’ll be much happier in the long term. 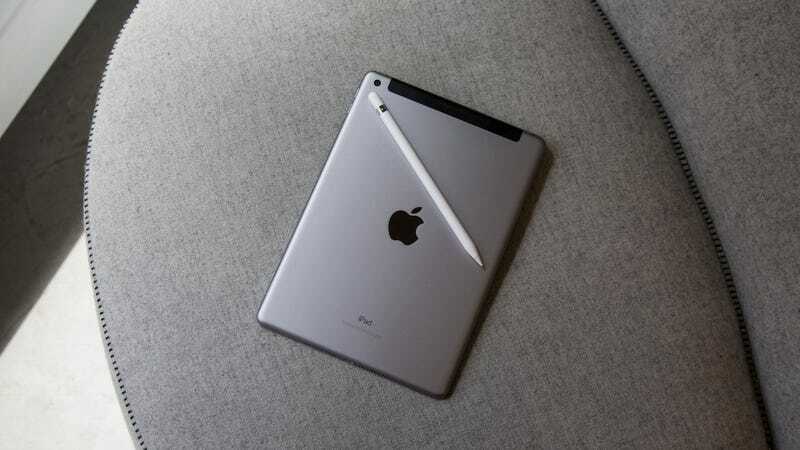 The iPad category is the simplest—it’s just the £319 iPad from Apple. If you can handle doing everything on iOS and don’t need a more robust version of Microsoft Office, or a mouse, then the iPad can be decent. But you’ll need to spend money on a separate Bluetooth keyboard. This is where the iPad solution gets tricky. There’s now a variety of Bluetooth keyboards that can double as an iPad cover, so you’ll get that more laptop-like experience, but they start at £100. Which means your £320 iPad is really a minimum £420 device. For the last couple of years, the only good option when it came to a sub-£500 device was the Chromebook. Chromebooks can be cheap now. 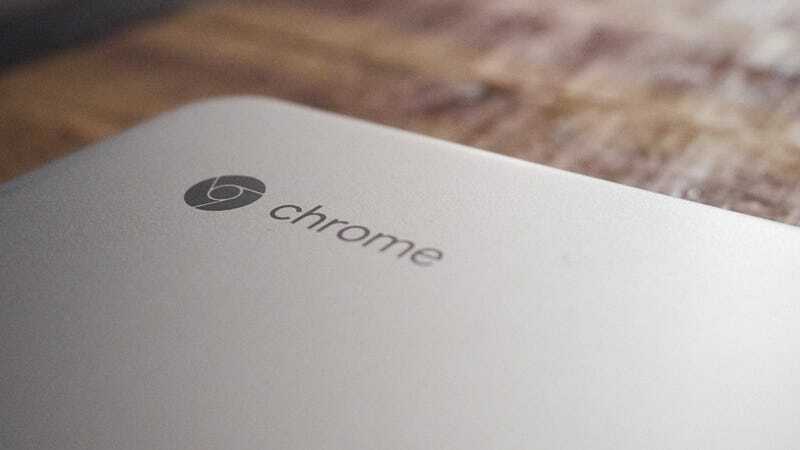 If you have around £220-£300 to spend, you can get a device with 4GB of RAM, a decent 11-inch or larger display, and a processor that won’t stutter over the lightweight ChromeOS. When there’s a sale you won’t even have to settle for Intel Celeron or Pentium! Instead, you might be able to get an i3 processor. The Chrome OS option sounds perfect, but it seems like a bargain because most Chromebooks are really, really cheap. The guts aren’t impressive, the finish is rarely attractive, and the things tend to just feel inexpensive. Take the £280 Acer Chromebook 11. That gets you 4GB of RAM, an Intel Celeron processor, and a tiny 11.6-inch 1366 x 768 resolution display. That’s just barely above 720p and well below 1080p. The viewing angle, from experience, is also not ideal. You’ll need to be staring dead on if you want to see colours as they’re intended. The pricier £380 Asus Chromebook Flip and the £500 Samsung Chromebook Plus v2 (only currently available in the UK through eBay) are a good step up if you can swing the slightly higher price tag. They’re larger machines, with higher quality touch 12-inch 1080p displays and lovely hinges that let you flip the devices around and use them like a tablet (they both run Android apps). They’re also 2.65 and 2.93 pounds respectively, with enormous bezels and a feel to their plastic casings that scream “I really needed to save money.” But if you can somehow hold off to save the extra £150 they’re a major step up from the cheapest Chromebook you should spend your money on, and will be more than enough computer for most people. I would tell my roommate to buy a £500 Chromebook for her next computer. I would probably tell my brother that, too. While my mum, who is rarely doing more than consuming content, might be a decent fit for an iPad. Yet a lot of people demand more flexibility than these options afford, and Microsoft seems to be making an effort this year to give people looking to spend £500 or less on a computer some actual damn options with Windows onboard. Every major laptop maker currently has something that costs £500 or less. There are a lot of choices, many as decent (if cheap feeling) as the Chrome offerings. The good ones will have a Pentium processor from the last year or better, 4GB of RAM and, if you’re lucky a 1080p 11-inch or wider display that won’t make your eyes scream in horror. Some devices just aren’t worth the trip to the store though. We’ve loved the HP Stream in the past for being so cheap you could forgive its flaws. The current version still has an eye-catching blue case and a £200 starting price. But it also has a Celeron CPU that’s three years old. Which means it will be sluggish out of the gate and only get slower over time. It’s a cheap buy, but you’ll be feeling the thriftiness as long as you own it and should only pick it up as a last resort. The HP Stream is emblematic of many of the £300-and-below Windows 10 machines. Yes, it’s the cheapest laptop you can buy, but with hardware already a couple of years old, you might be better off buying a more powerful device used or relying on your phone until you’ve saved up enough to get something nice. Hopping into the £400 to £500 range immediately presents some laptops that aren’t so bad. Instead of ancient Celeron CPUs from 2016 or earlier, there are Pentium and i3 processors from 2017, or even AMD’s new Ryzen 3 APU. The laptops are going to be bigger, with 14-inch to 15-inch 1080p displays that have acceptable (but not great) viewing angles. They’ll actually resemble the Chromebooks in the same price range. The closer to £500 the thinner and lighter they’ll be. But you’ll be hard pressed to find anything below half an inch or weighing less than 3 pounds. They’ll even physically look the same. As with chromebooks, it’s an Asus Flip—this time the Asus VivoBook Flip 14—that does the best job of balancing price and form. It’s still more than half an inch thick and over three pounds, but absolutely nothing else can match it for finish. With its vibrant touch display, 360 hinge, and narrow (for a budget laptop) bezels, it feels like a pricier laptop. It starts at around £300 for a laptop with a Celeron processor from 2017, and can go all the way up to £800 for an 8th Gen i7 processor. Anywhere across the range, it’s an absolute steal. But Microsoft mixed things up with the Surface Go. 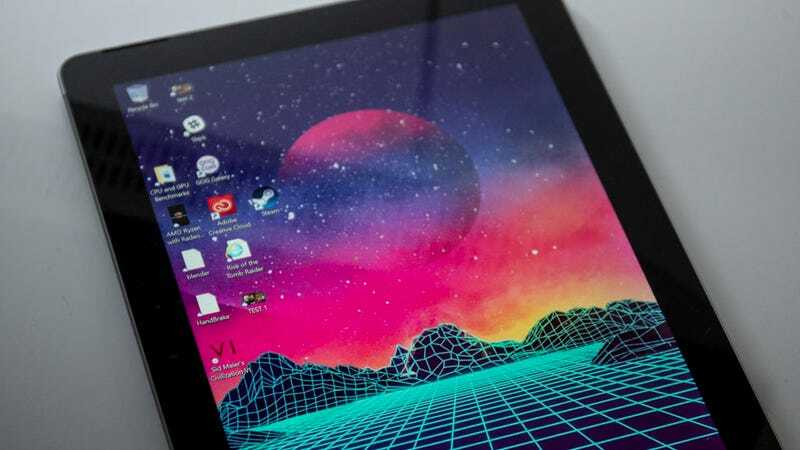 For £380 you’ll get a Windows 10 tablet (and case) with 4GB of RAM, a Pentium 4415Y processor, and the hands down prettiest display on a device this cheap, even if it’s just 10-inches. Should it be your next laptop? I’m inclined to say yes, for a lot of people it should. There’s simply no other device at this price that feels as grown up or nice as the Surface Go. It won’t necessarily be as fast as the Asus Vivobook Flip 14, or the better spec’d versions of the Dell Inspiron 13 5000 2-in-1 (£400) and HP Pavilion x360 (£400), but it’s fast enough for most people need an inexpensive mobile device. If you need a device that just handles video streaming, web browsing, emails, and some word processing the Surface Go might be the strongest contender.